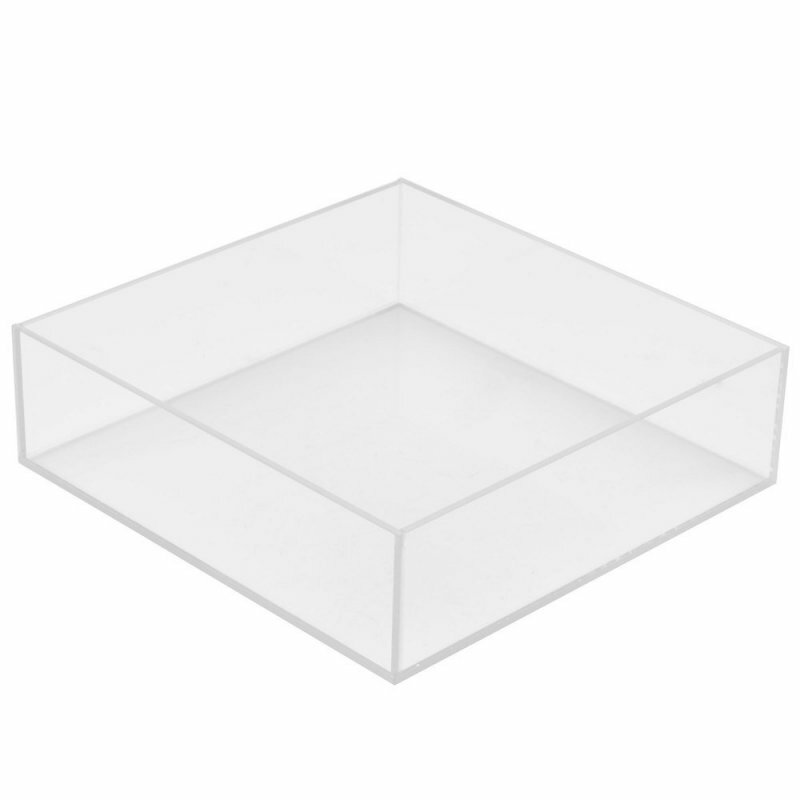 Clear Acrylic Countertop Stackable Tray - Display Box. Polished Edges. 10"W x 10"D x 2"H. Theese economical acrylic display trays are the perfect way to display a number of products or items to customers. Made out of 1/8" and 3/16" clear thick acrylic, this acrylic tray is a robust retail display unit. Due to its large flat base, this plexiglass display tray stands stable on a counter top whether empty or full. With its transparent design, customers can see the products or items on show in these acrylic trays from a number of angles.